Since tomorrow is inauguration day I decided to take a look back at past US Presidents and their tea drinking habits. I'm going to try as hard as possible to keep my own political views out of the post. Let's just get into history and tea! Awhile back I was perusing used books and found Tea With Presidential Families and couldn't resist it. I had no idea past Presidents drank enough tea to have a whole book dedicated to it. The book has loads of photos of presidential teaware and facts about the presidents and first ladies that enjoyed tea while in office. The book starts with George Washington and goes through Bill Clinton (it was published in 1999). "Scour through a series of photos of him — in the Oval Office, aboard Air Force One, inside the Situation Room — and he almost always has a cream-colored, gold-trimmed porcelain cup in front of him. 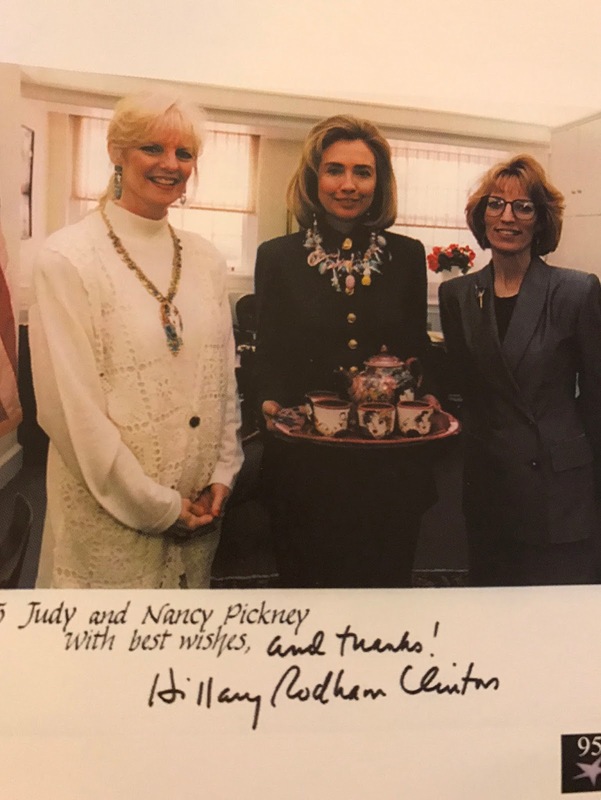 We don’t know exactly what’s in those cups, but aides suggest they’re filled with tea." The same article shows him in various coffee shops, drinking tea (in a couple shots you can see a teapot). He is also documented as drinking quite a lot of bottled iced tea. Our 44th president certainly has good taste in beverages. Let's take a look back at US Presidents throughout history. I've mentioned colonial tea drinking in a previous article (tea water pumps! ), and during the research I came across the above picture of George Washington and the Marquis de Lafayette meeting at Mt. Vernon and having tea (you can see Martha Washington pouring tea in the background). Young Lafayette, eager to fight the British met General George Washington when he was recruited to the continental army in 1777. The two bonded and the rest can be read in history books (Washington was sworn in as President in 1789). Washington was known for his love for tea. He drank tea every morning and records show that he frequently ordered teas such as bohea and hyson. Despite the aversion to taxed tea from England, tea was a part of how colonial Americans socialized, so it makes sense that early presidents frequently sipped it. John Adams drank tea before and during his presidency. He and Abigail were the first in the White House, and records show they brought teaware from China with them and hosted many tea parties. There is a recipe for Abigail's 'rose petal tea' that she'd serve to guests in the 1960s White House Cookbook which contains recipes from various first ladies. Thomas Jefferson is documented to have enjoyed tea, so much so that he built a tea room at his home at Monticello. It's reported that he drafted the Declaration of Independence in his tea room in 1776. When he became president, there were many recorded orders for tea. 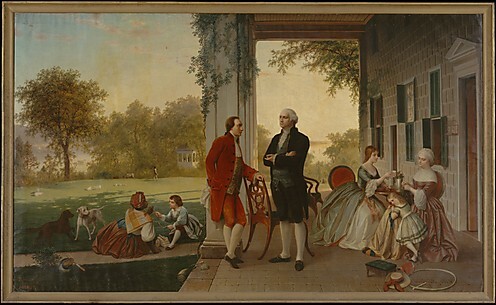 From Tea With Presidential Families, "Although his first recorded order was for Bohea, Jefferson's taste later changed to Hyson, which became his favorite from 1809-1816". 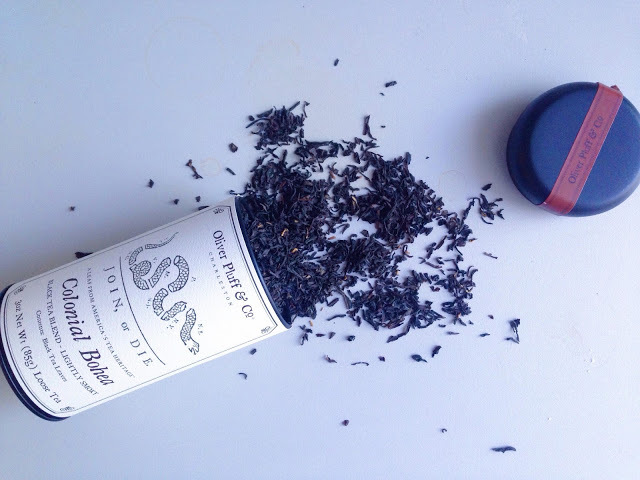 --The Van Burens were of Dutch descent and as Dutch New Yorkers they added herbs and saffron to their tea. I found this very interesting and it may warrant further research and a blog post! --President Andrew Johnson brewed tea every day in a teapot shaped like a steam train. Supposedly it was given to him because of his interest in the railroad. I think my son would be more interested in tea if we had a teapot shaped like a train! --President Rutherford B. Hayes had a hand in developing US tea growing! When he was sworn in as president, he appointed William LeDuc as Commissioner of Agriculture. LeDuc was impressed by tea plants distributed by the patent office growing in the south, and ended up leasing two hundred acres in Charleston for his experimental US tea farm. -- President Garfield was a tea lover, and had two favorite tea recipes. Spice tea that had mint, orange juice, lemon, allspice and black tea, and his own herbal tea blend that included catnip and pennyroyal. --President Lyndon Johnson " Drank only tea and Fresca. Lady Bird Johnson remarked in her diary, and we agree, 'How many things are launched under the name of a tea!'" --President George Bush (Sr.) was known to frequently drink green tea. --During the Clinton administration, " On a visit to Belfast, Ireland, Mrs. Clinton encouraged politicians to sort out their problems by getting together over many cups of tea". Many first ladies were known to host social teas, which the book well documents. It became customary for the first lady to invite the incoming first lady to tea. I'm sure many of you read about the tea Michelle Obama hosted for Melania Trump. This post may have contained more presidential tea info than you bargained for, but there you have it. I felt compelled to share since I was surprised at just how much tea was consumed by US presidents and first ladies. The phrase 'make tea not war' comes to mind. This is a phrase I will keep in mind in the months ahead. This is awesome Sara! Thank you. Thanks so much Naomi! So glad you enjoyed. Fascinating history! Did you catch the story of President Obama drinking tea with the current Chinese president? I think it was a Long Jing. Also, I recall a story of President Obama liking Honest Teas. The story seems very exciting. At first I want to say that you always write very interesting and special posts. I like the blog so much. It’s good that you managed to abstract from your political preferences and write such an article about the history of the presidents and tea.